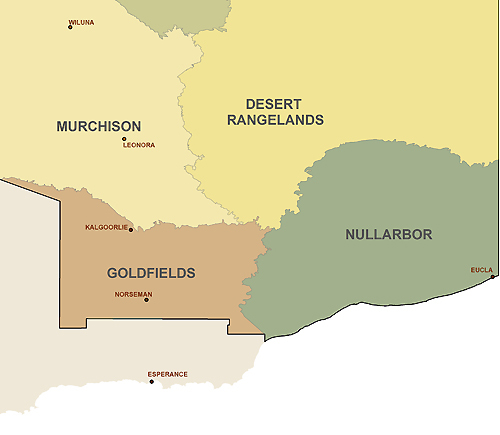 The Goldfields-Nullarbor subegion of the Western Australian Rangelands covers an area larger than 930,000 square kilometres. It is bordered by the South West Region and Southern Ocean in the south, the Murchison subregion and Desert subregion in the North, the South West Region to the west and South Australia to the east. 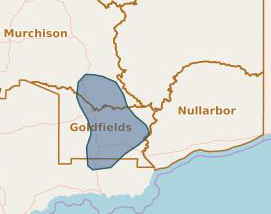 According to the Australian Bureau of Statistics, around 44,000 people lived in the Goldfields-Nullarbor subregion in 2011, with a significant proportion of this population being Aboriginal people. Threats to target areas within the Goldfields region have been analysed and are presented below. 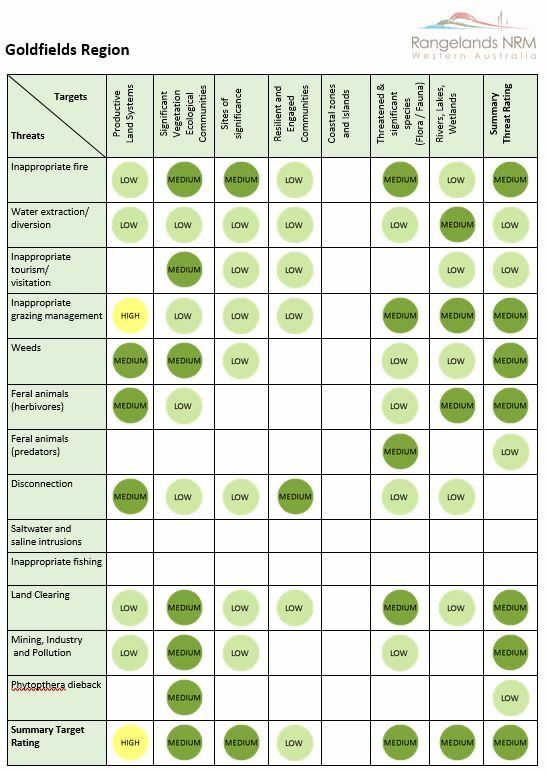 Regionally significant habitat protection, prioritised flora and fauna species, wetlands of national significance and building community capacity are a priority across the Goldfields-Nullarbor.